"Natural weight loss knocks-out the competition!" 4 Tips to cut 500 Calories at every meal! 5 tips to consume 4 to 5 serving of fruits and vegetables everyday! 4 Tips on how to eat healthy when dining out! New 80/20 Core Training: 80% OF YOUR ABILITY TO NATURALLY LOSE WEIGHT DEPENDS ON WHAT YOU EAT!!!! 20% IS RELATED TO FITNESS AND EXERCISE! 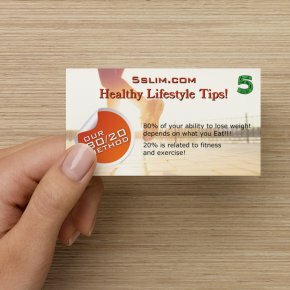 * 5SLIM FITNESS promotes healthy lifestyle habits through better nutrition and Fitness! Start today at no Cost!!! Do you have trouble staying energized for your post-workday workout? We feel you! Try these tips to keep your energy going strong so you can Move More. HYDRATE: Drink water throughout the day and especially before, during and after physical activity. FUEL UP: When your energy is starting to lag, snack on healthy carbs, like vegetables, fruits, and whole grains. FIGHT FATIGUE: Alternate sitting and standing during the day. Wear comfy shoes you can easily walk in, or use insoles to keep your legs and feet feeling fine. REFRESH: Try stress-relieving activity breaks, like lunchtime walks, meditation and yoga to rejuvenate and refresh anytime. BREATHE: Practice breathing deeply by inhaling through your nose and exhaling through your mouth slowly to deliberately send more oxygen to your brain and body. EAT FOR ENERGY: Avoid eating saturated fats or too much protein throughout the day. They digest more slowly and can take away oxygen and energy-delivering blood from your muscles. DON’T WAIT: Make it a habit to go right from work or school to your workout or activity. If you stop at home, you may be tempted to skip it. REFUEL: Refuel after your sweat sesh with lean protein, healthy carbs and plenty of water so your body can recover more quickly.